This Kurt Adler 9-Inch Snoopy Lighted Treetop is a fun, unique way to add to the lighting and décor of your Christmas tree, especially if you are a Peanuts fan. 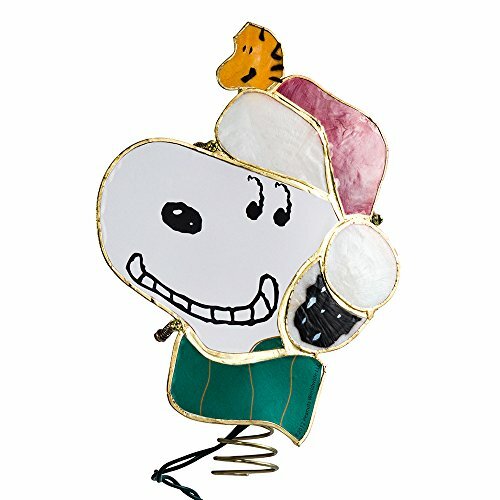 Sure to be the focal point of your tree, this treetop features Snoopy wearing a Santa hat and green scarf; he is grinning as his yellow feathered friend Woodstock peeks out from behind his hat. The design has a silver plated and glittered finish, 4 spare bulbs and 2 spare fuses.